Viola Davis ("A Touch of Sugar"); Bridget Moynahan ("Our Shoes, Our Selves"); Jack Osbourne. NBC 6's Dan Krauth reports. 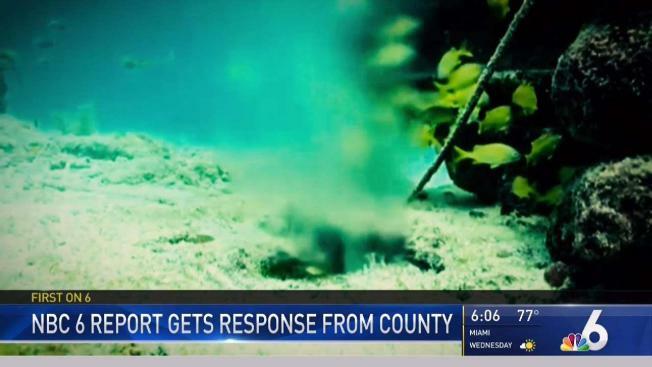 Miami-Dade county officials said they're taking immediate action after an NBC 6 report showed an aging underground sewer line spewing treated sewage into the ocean less than a mile off the cost of Virginia Key and Fisher Island. A spokesperson for the Miami-Dade Water and Sewer Department said they're taking water samples and held an emergency bidding process Tuesday to hire a contractor to dive down and repair the leak. "We've taken immediate action," county spokesperson Jennifer Messemer said. "We at the department take any breaks seriously." Last August, a fisherman noticed a leak in a three-and-half-mile pipe that carries millions of gallons of treated wastewater out to sea. County officials said they "assessed" the leak last August and couldn't find it. Newly released underwater video shows an aging sewer line spewing treated sewage into the water less than a mile off the coasts of Virginia Key and Fisher Island near Miami. 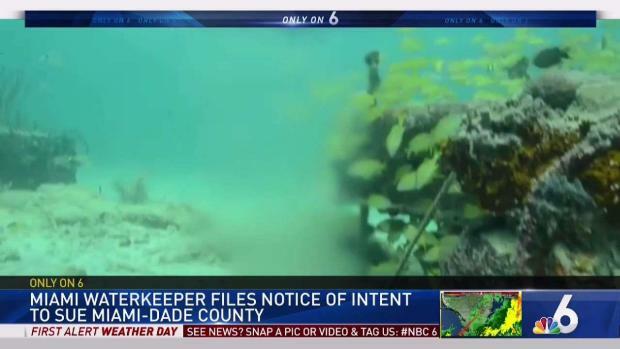 A diver hired by the local non-profit Miami Waterkeeper captured the video. The group filed a notice of intent to sue Miami-Dade County Monday morning. NBC 6 has learned the assessment happened above the water and they did not dive in to look at the actual pipe. "There were no plumes or surface evidence that would show or disseminate any evidence of a spill or a leak at that time," said Messemer. A diver hired by the local non-profit Miami Waterkeeper found the leak last month and captured video of it. The group filed a notice of intent to sue Miami-Dade County Monday morning if they don't fix the problem. "My personal reaction is shock that this is still happening," said Kelly Cox, the program director for Miami Waterkeeper. The County contractor should be in the water within the next week to assess the situation, officials said. Meanwhile, the county maintains the water is safe for the ocean. "The water has been fully treated, we meet all guidelines and there have been no violations," Messemer said. Over time, salt water can corrode the aging pipes. The entire system is scheduled to be removed by 2025. Back in 2014, the county pledged to spend millions of dollars to improve how its system works. 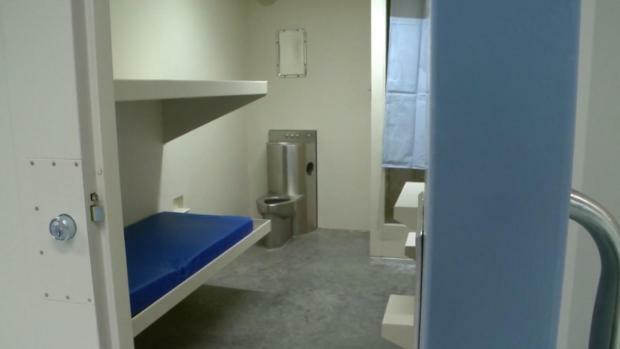 "I hope they're encouraged to fix the problems that they find cause this is one issue that we're aware of, but who's to say how many other incidents are occurring, there might be other leaks," said Cox.